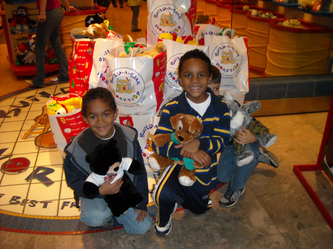 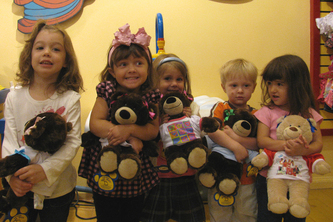 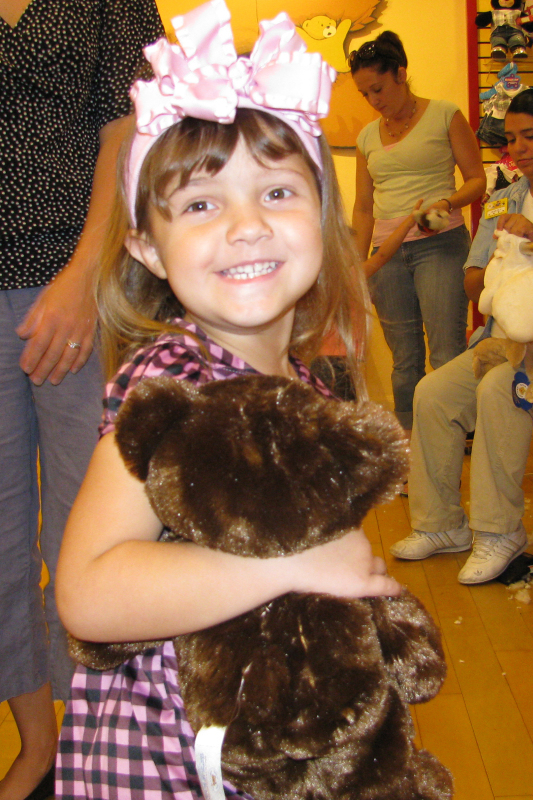 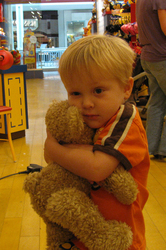 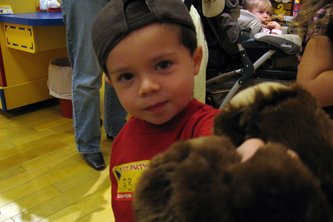 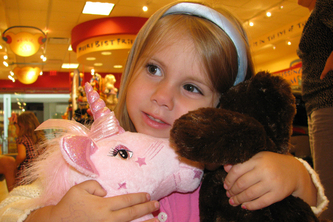 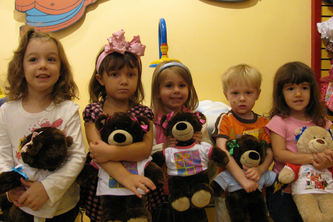 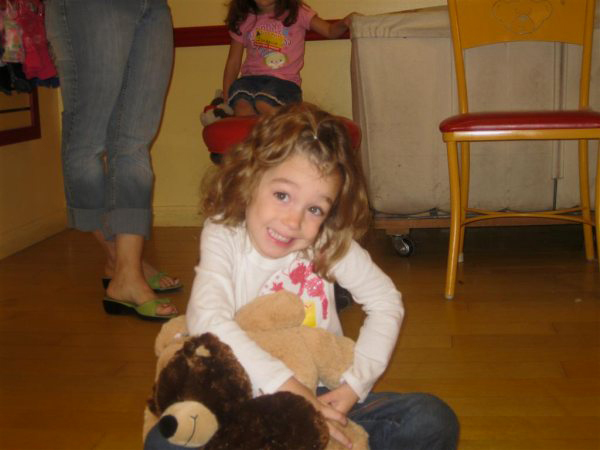 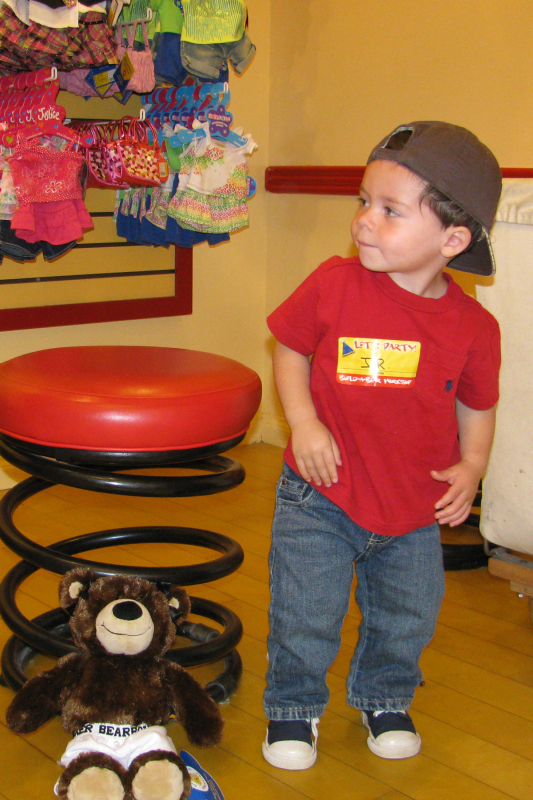 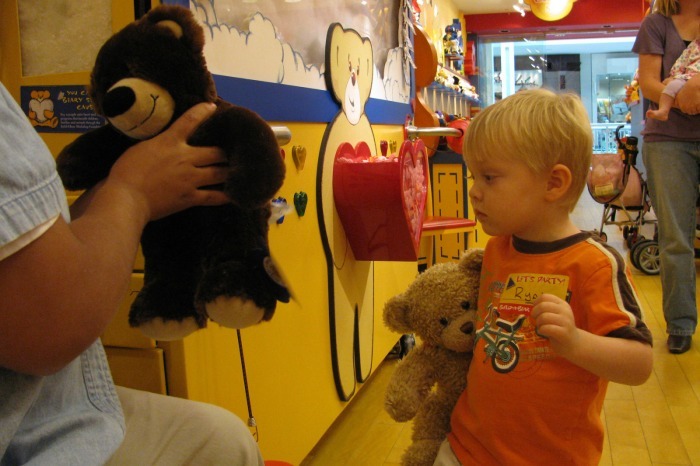 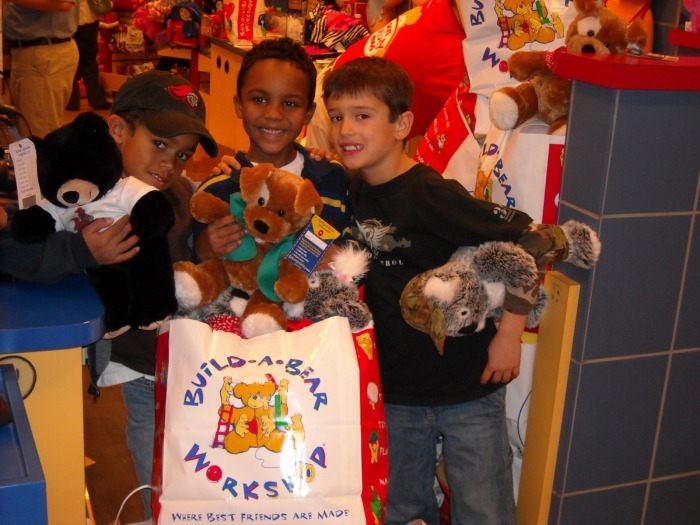 A half dozen toddlers & their moms were at the Bridgewater Build-A-Bear store in September 2009 to make & donate some bears to the Justin Charity Bear Fund. 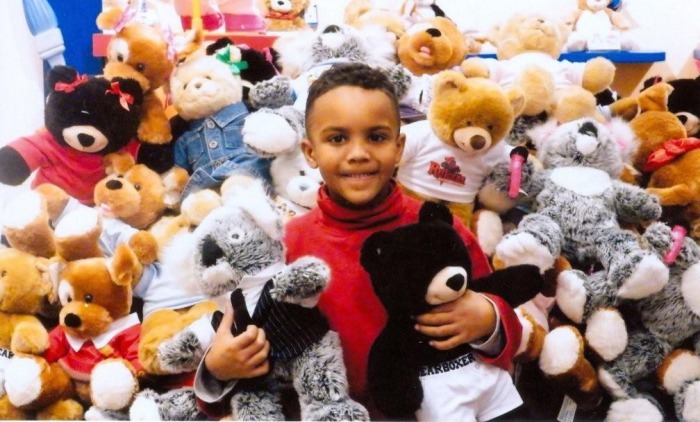 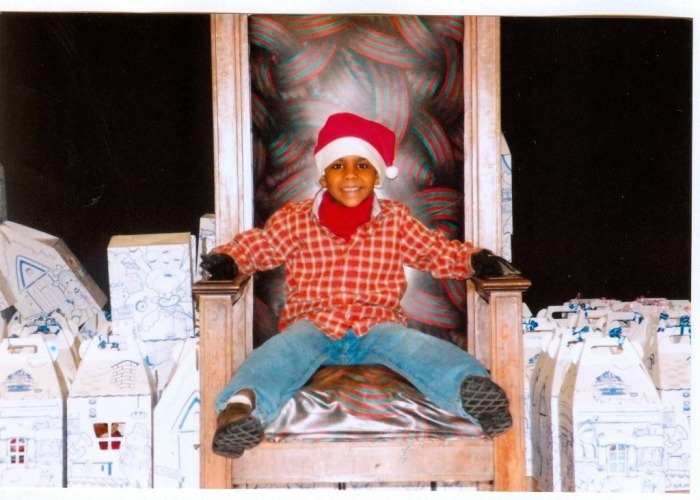 Justin playing Santa & Justin with many bears, that were later given to children in need. 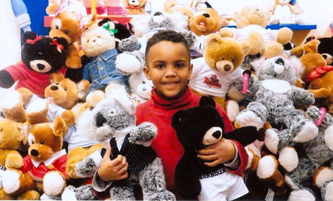 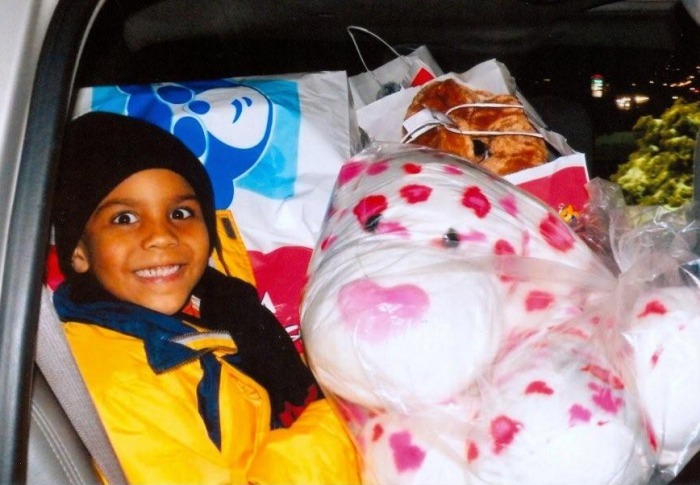 Justin and other young volunteers with the bears stuffed and ready for distribution to needy kids.